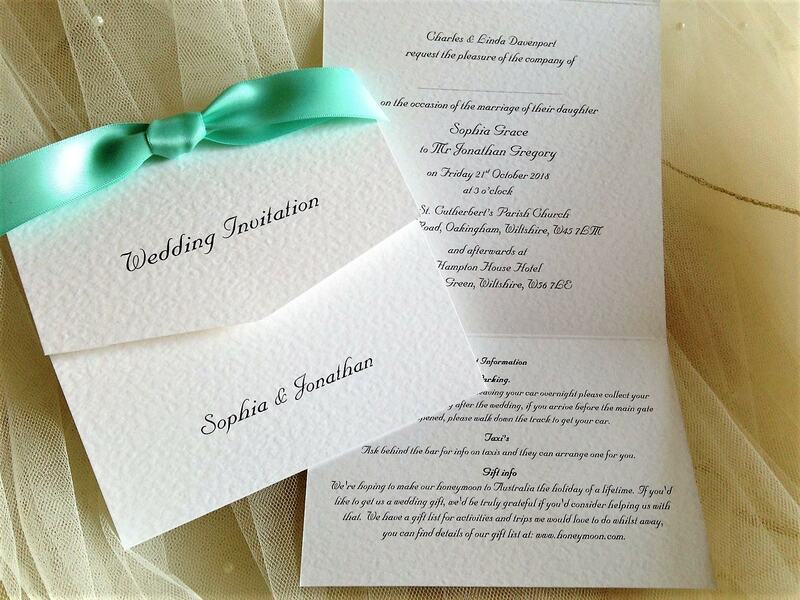 Our most popular wedding invitation design! Tri Fold Wedding Invitations are supplied on a thick heavy weight (270 gsm) hammered card and are available in either white or ivory. 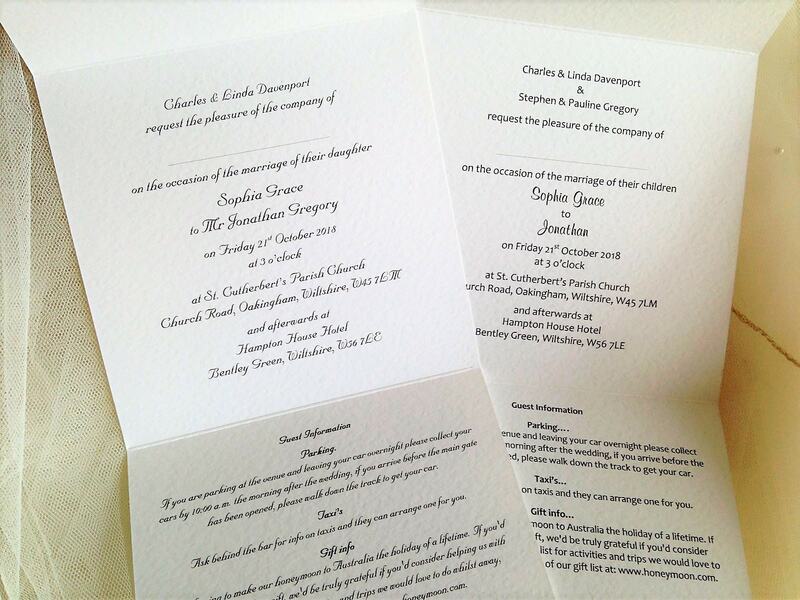 This style of wedding invitation is a popular choice as it allows for printing on three areas of the card. Top, middle and bottom panel. 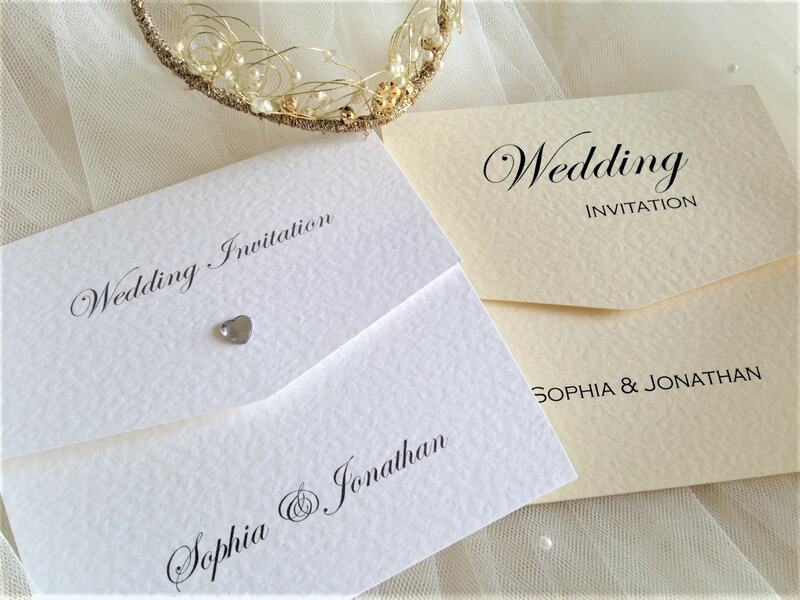 We can add a diamante heart to the front of the invitation for an additional 10p each. 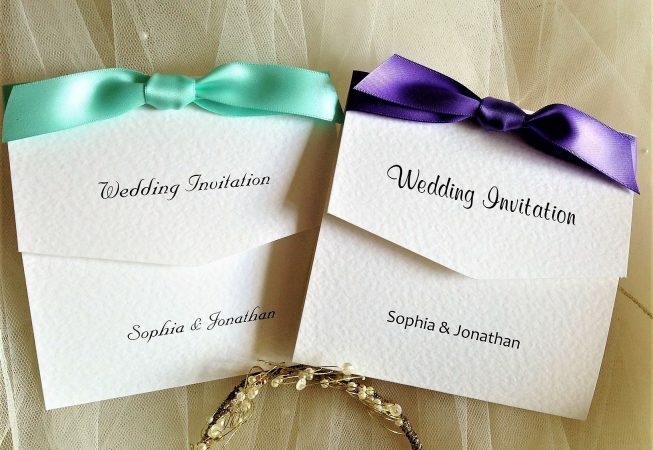 A pair of velcro closers for you to apply if you wish.